Austrian lawyer and communal worker; born in Prague April 4, 1840; educated at the gymnasium and the university of his native city (LL.D., July, 1863). While at the university he continued his study of the Bible and rabbinical literature. Since 1873 he has been activein the administration of the Jewish community of Prague, being made a trustee in that year, vice-president in 1885, and president in 1887. In 1897 he was made president of the Union of Bohemian Jewish Congregations, and in 1898 vice-president of the Union of Austrian Jews. In 1861 he began a contest for the degree of doctor of canon law, which then was denied to Jews in Austria. While not successful in his own case, his efforts led to the removal of the restrictions in 1870. 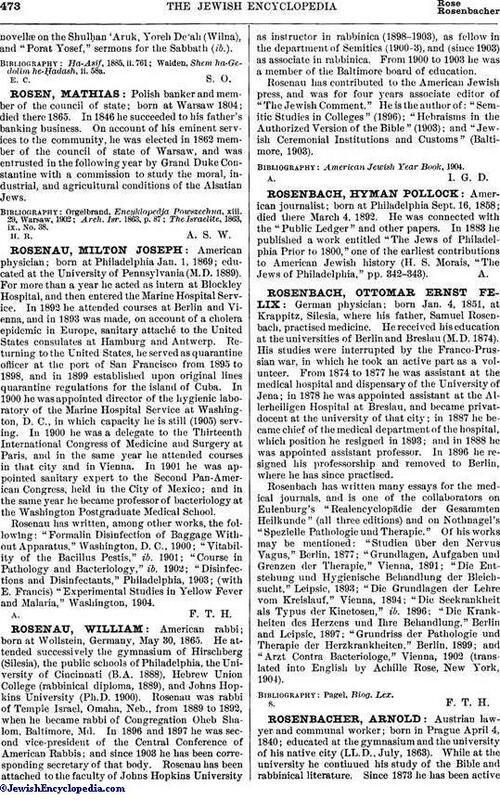 In 1863 he entered the law department of the treasury as "Finanz-Procuratur," being the first Jew in Austria to hold a position in that department. He resigned in 1869 to devote himself to the practise of the law, in which he is still (1905) engaged. 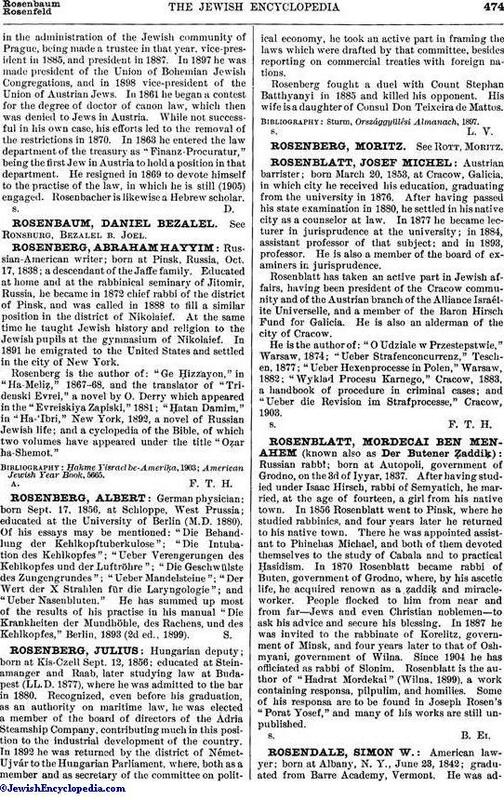 Rosenbacher is likewise a Hebrew scholar.